More than 100 years have passed since Maria Montessori first articulated her famous theories and method. Her observations, teaching materials and pedagogy are timeless. They speak to the core nature of human development, transcending culture and history. In that time, scientists and educators have validated and expanded upon her brilliant, groundbreaking work. The contributions of contemporary educators, neuroscientists, sociologists and other specialists, however, give us new information, clarity and insight. Children attend 5 days a week. MCHW is a half-day program. The core program hours are 8:45 – 11:45. Extended “lunch bunch” hours are offered Tuesdays, Wednesdays and Thursday until 1:00 PM. MCHW generally follows the Wellesley Public School calendar. We typically begin the first week of September and end the last week of May. We follow an abbreviated “Phase-In” orientation schedule for the first two weeks each September to help all children—especially new students—make the transition as smoothly as possible. We serve children ages 2 years and 9 months through age 6. We do not require new students to be toilet trained—diapers are just fine! While most children at MCHW move on to their local public kindergarten programs, MCHW offers both a “growing year” (for those wishing an additional year before kindergarten) and a full kindergarten program (primarily for those wishing to go on to a Montessori elementary program). MCHW has two class groups—The Sun Class and The Moon Class. Each has 13-14 students. 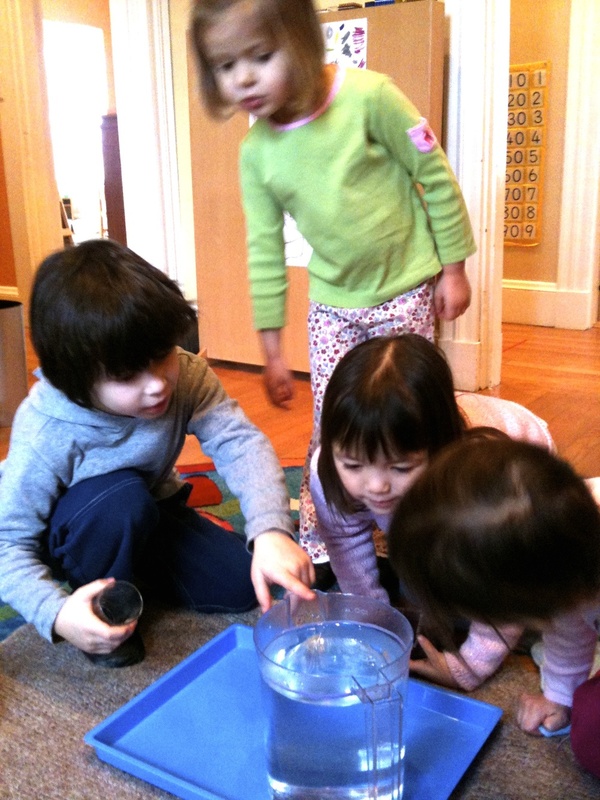 In the Montessori tradition, both groups are mixed-age, comprised of children ages 3, 4, and 5. MCHW is uniquely licensed to provide both a large group and small group experience for all enrolled children. During the “open choice” period of the morning, children from both classrooms work together utilizing the full space of the school. This provides more social opportunities and access to a wider array of learning materials. During daily “circle meetings,” special unit lessons, and lunch the children work in their smaller class groups, providing the benefits of smaller group learning. Each class group is lead by a Montessori Certified Lead Teacher and assisted by a dedicated Classroom Assistant. An additional “floating assistant” provides support for both groups.